Mass Audubon said a “once in a lifetime weather system” of “gale force winds,” cold temperatures and high tide caused the migrating turtles to freeze. He added that they were unable to revive the turtles found Friday morning — some of which were the critically endangered species Kemp's Ridley sea turtle. 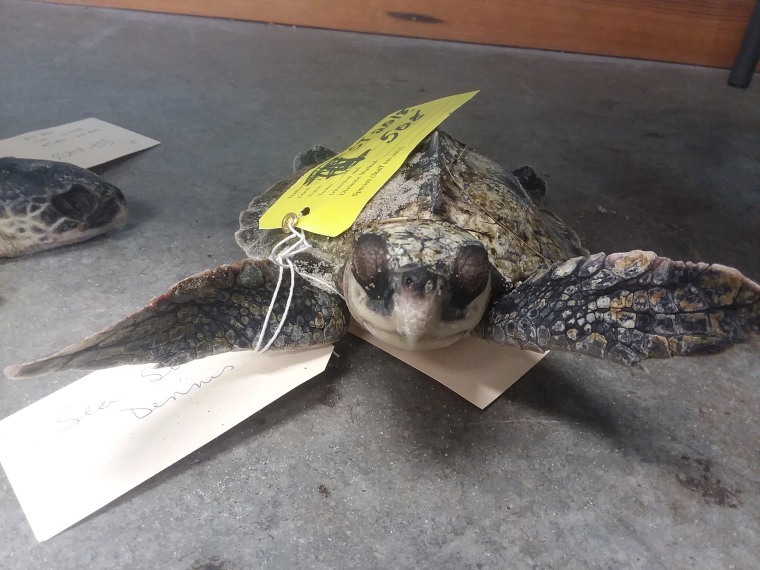 "The problem here is that they can’t get out of Cape Cod Bay in time," Prescott said, adding that they still don't know how many turtles have been frozen to death in areas like Brewster, Massachusetts, where the beaches have been iced in. "The shape of the bay just confuses them." CORRECTION (Nov. 23, 2018, 5:07 p.m. ET): An earlier version of this article misstated the location of Brewster. It is in Massachusetts, not New York.